The sixth episode of the Miami History Channel features the decade of the 1920s in Miami and South Florida. 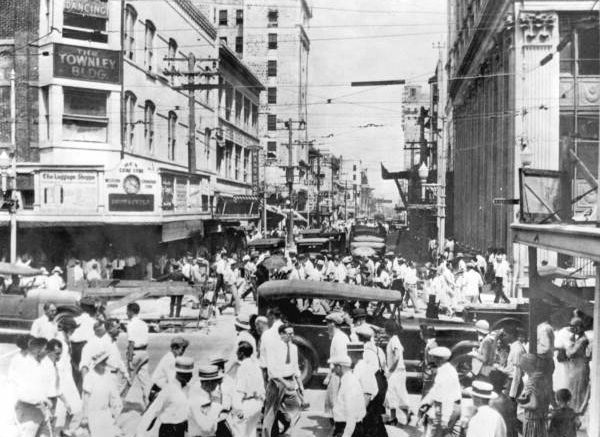 The 1920s could easily be described as the most eventful decade in Miami’s history. The decade began with the enactment of the Eighteenth Amendment, also known as the Volstead Act, which brought the rest of the nation into prohibition with Dade County. Although the temperance movement was now reinforced by national law, Miami was one of the leakiest places in the nation. The tourism industry continued to grow in Miami. Gambling and alcohol were big attractions for tourists looking to enjoy the sunshine and good times. By the middle part of the decade, Miami began to experience unprecedented growth. The building boom of the 1920s is still remembered as the start of the boom and bust real estate cycles in South Florida which still continue to this day. Communities such as Miami Beach, Coral Gables and Miami Shores developed and grew very rapidly during the 1920s. Each community was as much a product of their visionary founders as they were a product of unprecedented growth. Coral Gables and Miami Shores were considered some of Miami’s earliest planned communities. However, the boom of the 1920s experience a progressive ending. The bust was courtesy of a variety of factors that began in 1926. The availability of materials and labor were impacted by the events of 1926. The final blow to the building boom was the 1926 Hurricane. The impact of the mighty hurricane led Miami into the Great Depression several years sooner than the rest of the nation. Cover Image: Flagler Street in 1925. Courtesy of Florida Memory.